I just got an e-mail from Amazon.com that when you buy a CD or LP that is available through their Autorip program, you instantly get the MP3 version for FREE! This is great news for audiophiles like me that love their vinyl, but don't like to play it on a regular basis for fear of not being able to replace it. 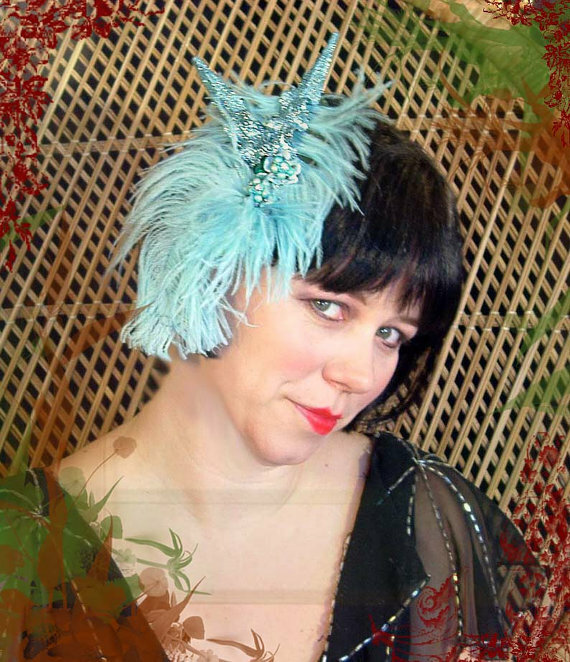 Brittany at Va-Voom Vintage is having a week of vintage bang tutorials. Day one- Audrey Hepburn. Great start! Be sure to visit everyday for some adorable vintage hair styles. 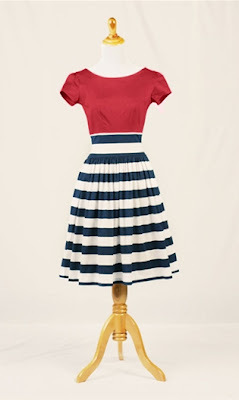 I have been a long time fan of Shabby Apple and their vintage-inspired dresses. A few years ago I even had a giveaway of one of their skirts, which went over like gangbusters. Well, this time, I get to review one of their dresses and I can't wait to get it! I chose the one above, At First Sight, a beautiful plum wrap dress from their bridesmaid line. I went with an XL, which is slightly smaller than my normal size, but being that it is a stretch fabric and a wrap dress, I should be fine. Plus, wrap dresses are extremely flattering to my hourglass figure. I really love the ruffle detail, don't you? So, if you love vintage clothing, head on over to Shappy Apple and see what they have. Their sale section also has some really beautiful items right now. 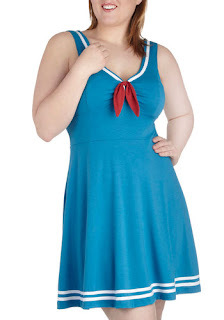 Unfortunately, they ran out of the At First Sight dress in my size, so I went with the Gondola Dress with a red top. Its a bit more playful than the first dress, so more of an everyday look. However, I think it could be perfect for North Carolina summers, which I am still getting used to since my move here. It has a bit of a French flair too, so now I have a reason to wear my beret! 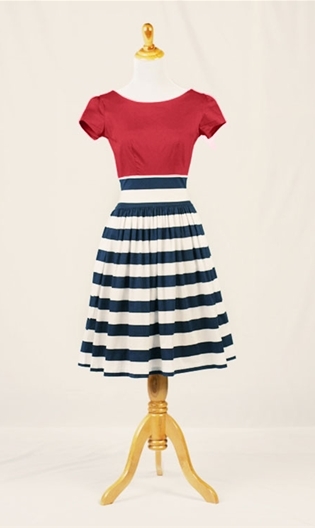 Labels: 40s WWII, 50s Rockabilly, fashion, Vintage Wedding, What's on Sale? Daniela Turudich Vintage Lifestyle Books Reprint! I am so excited to see on Amazon.com that some of the Daniela Turudich books are going to be reprinted in July 2013. Right now there are four titles that will be available, but I have a feeling that if they do well others won't be far behind. Below are the books available that you can pre-order at a really great price. I also included 2 books that are not in print at this time, but still have a few copies floating around. 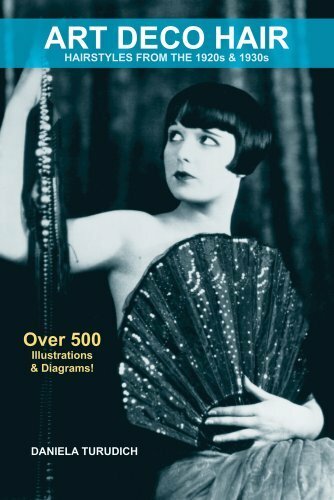 Labels: 20s 30s Flapper, 40s WWII, 50s Rockabilly, fashion, hair, makeup, Vintage Library, Vintage Wedding, What's on Sale? Butterick is having its 150th anniversary this year and they are having a contest to celebrate. 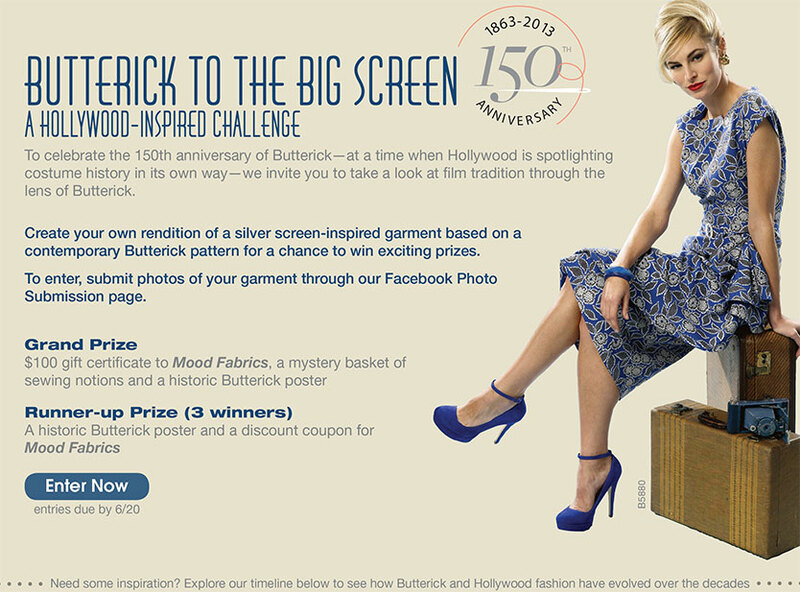 Create a vintage-inspired garment based on one of their current patterns and you can win some cool swag. For more info, visit the challenge webpage. The challenge ends June 20, 2013, so plenty of time to sew! I would LOVE to enter this, if I can find some time. An obvious choice would be to pick something from their retro line. But, a quick look at some of their other patterns shows a lot of promise as well. My favorite is the Marfy tunic and skirt. 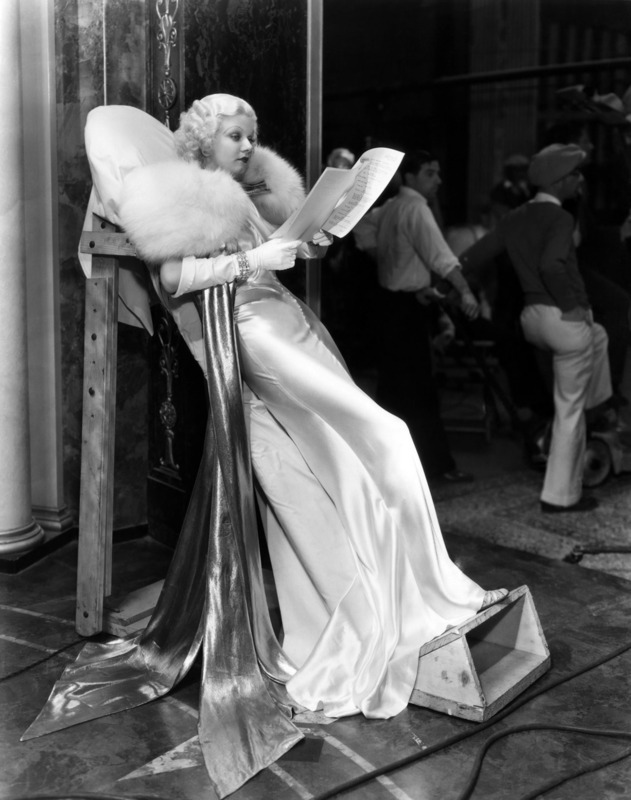 This could easily be modified into a 1920s or 30s dress, don't you think? A piece from Tart Deco "Blue Magoo"
We knew it would happen. I am referring to the slew of Great Gatsby on the internet. In some ways I am glad because it could mean a boost in sales for my 20s hair accessories, as well as many of my colleagues who make some amazing stuff. 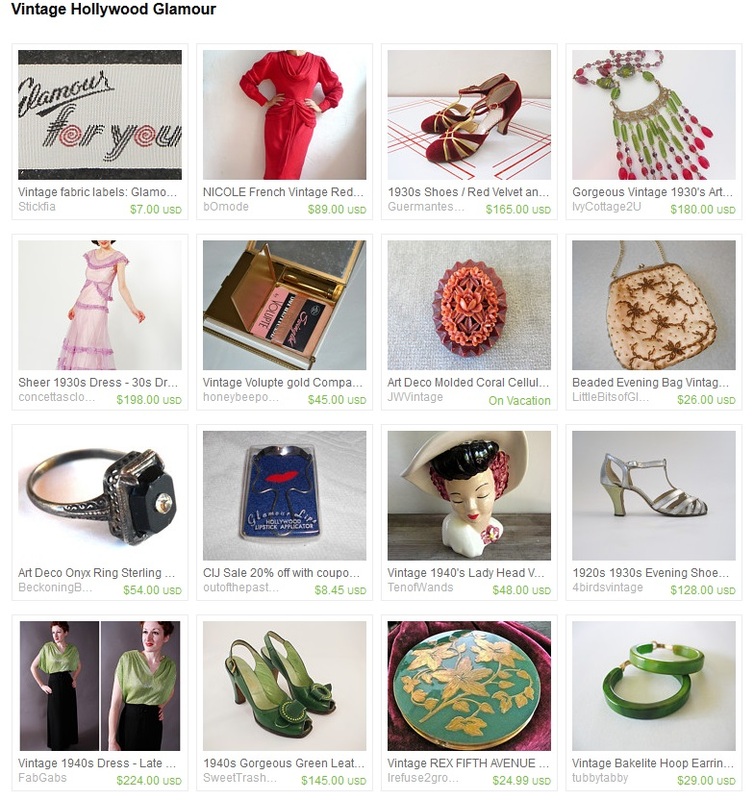 To end this on a positive note, I created a treasury of items by some of my etsy pals who have been selling and making 1920s/30s and Art Deco items for a while now. Also, when you get a chance, make sure and check out the latest Hey Doll! Magazine issue, which has a Great Gatsby theme. 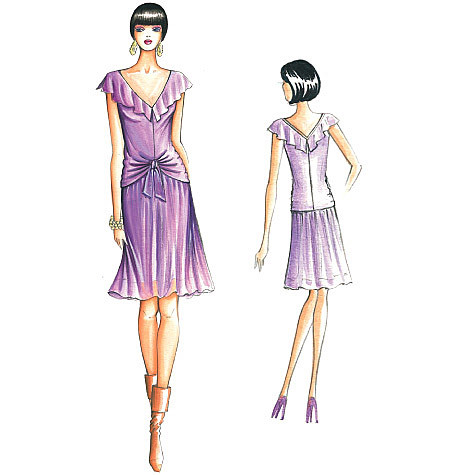 There a some really nice articles, plus a quick and easy 20s Day Dress tutorial (with pattern!). Let's support our blog pals Brittany Va-Voom and Bunny Moreno! Long time, no post :) I have had just about everything under the sun happen since my last post and I have been trying to get my blogging mojo back. Probably the biggest news is that I relocated to North Carolina and I am the new Music Librarian at Elizabeth City State University. I am actually creating a music library from scratch and it has all been very excited! If anyone is interested in following the process, I have created a blog. Yes. One more blog to upkeep because I have been so great at keeping up this one! Of course, that one is for work, so there is a bit more motivation in a time crunch. However, I happened to come across an interview I gave a few years ago on the Simply Stacie Blog that may motivate me to get this blog back up to snuff. 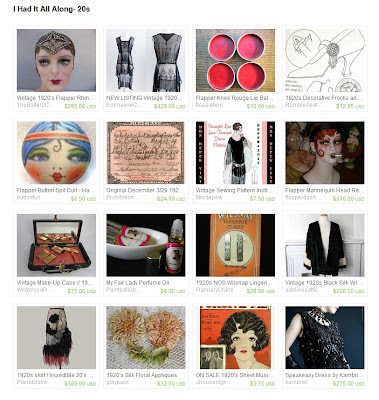 There are so many blogs out there that cover vintage lifestyles and items. For those of you that are still with me, is there anything you would like to see in a blog that no one else is doing? Or is there something I used to do that you wish I did again? Heads up readers- if you give me some input, you will get extra entries in a vintage giveaway that I will be having soon!